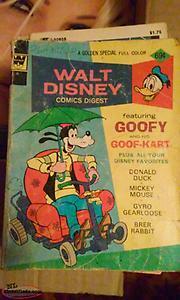 WALT DISNEY COMIC DIGEST. GOOFY. GOOD CONDITION. Hi, I'm interested in the 'Walt Disney - Pinocchio ( BRAND NEW SEALED 2-DVD 70TH ANNIVERSAY EDITION )' posted on NL Classifieds! Please contact me if still available.